Meditations to invoke the goddesses of yoga and awaken their energies within you. I absolutly love this CD and never get tired of listening to it! I love Sally's Voice and Linage Transmission. These Goddess Mantas and the Shakti Meditations are an ecstatic (gate-less) gateway to the resident frequency of a divinely loving way of perceiving! If you can only listen to one set of 3CDs to reach full enlightenment this is the one for beginners or advanced practitioners. You may also love "doorways to the infinite" as a couples or single person deepening delight. Bliss and the opening of your heart is how you meet the Goddess within Sally's amazingly Goddess inspired story telling. Enjoyed this CD immensely! 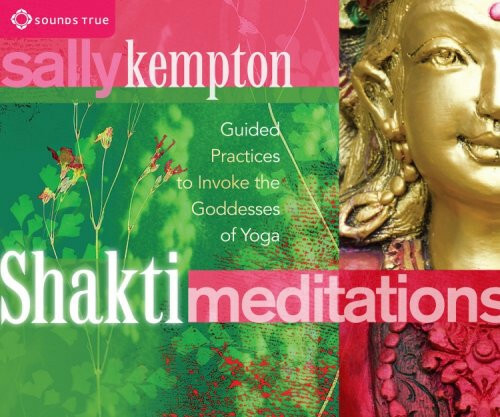 Sally Kempton is a gifted and articulate teacher/transmitter of the divine feminine.